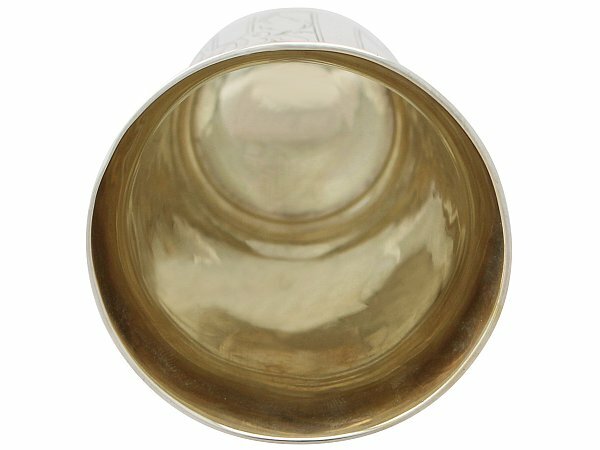 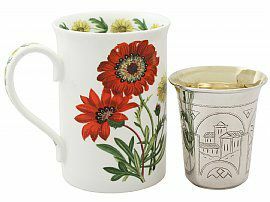 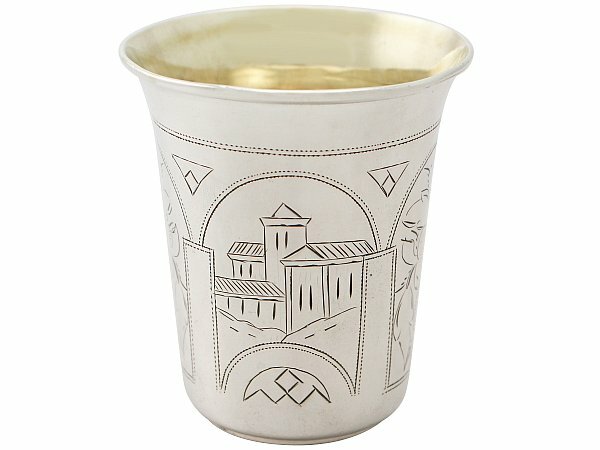 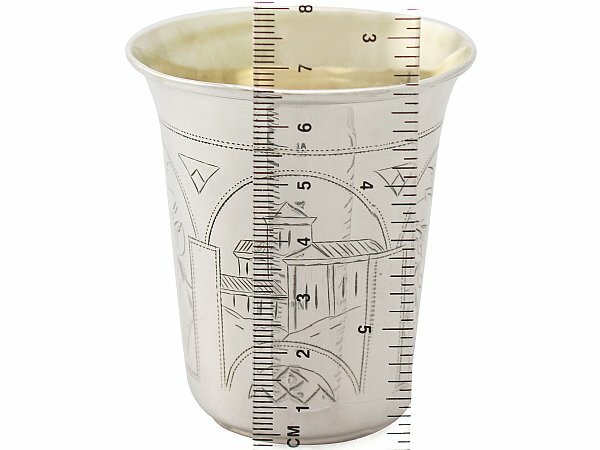 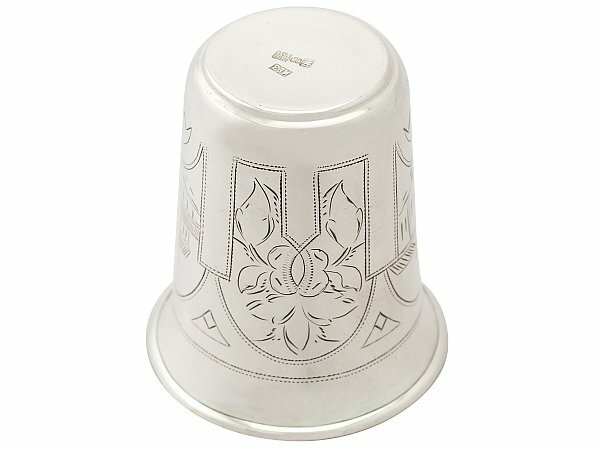 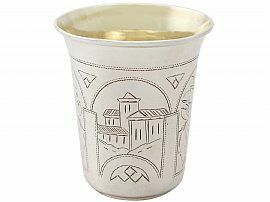 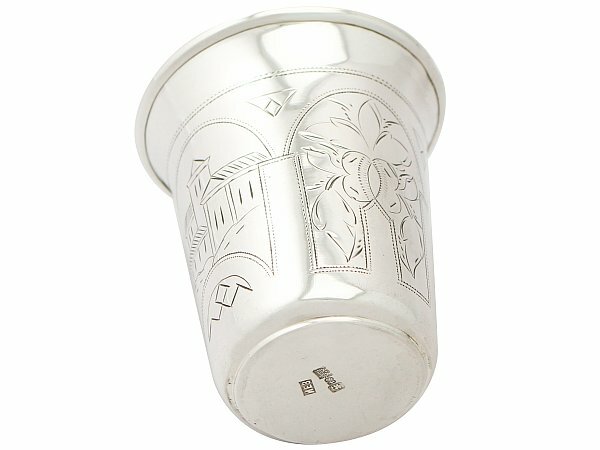 This fine antique Russian silver Kiddush cup / beaker has a cylindrical tapering form onto a collet style base. 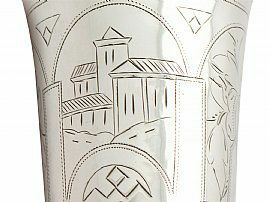 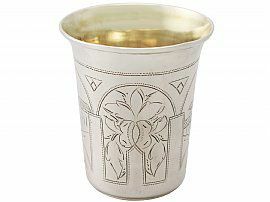 The surface of the silver beaker is embellished with fine and impressive engraved decoration depicting a simplified archway revealing alternating leaf motif and city scenes. 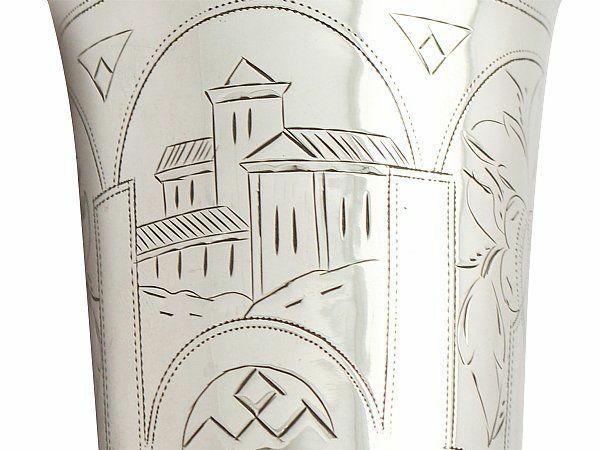 The flared rim of this impressive example of Russian silverware has an applied moulded rim. 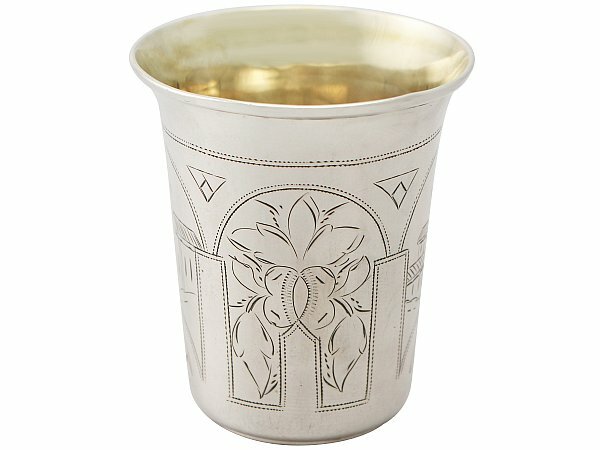 The antique cup retains the original gilt interior. 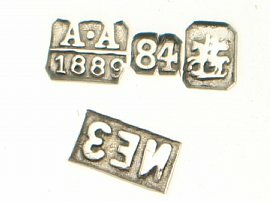 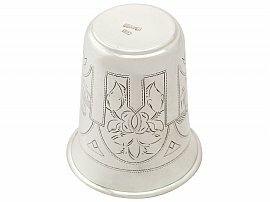 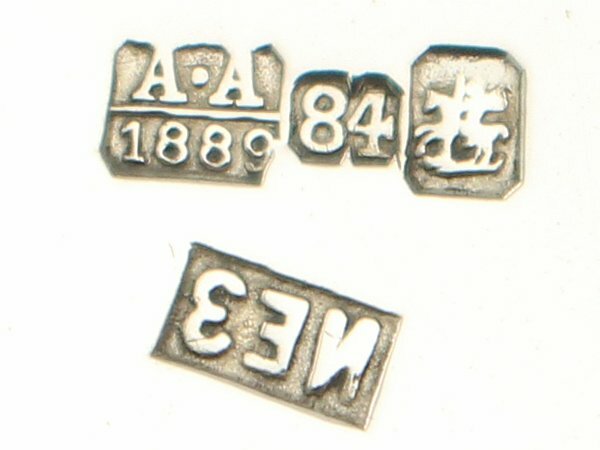 This Russian silver cup is a very good gauge of silver excellent quality and in excellent condition. Reflections in photographs may detract from the true representation of this piece of antique Russian silverware.